MC Property Maintenance was asked to provide a cherry picker for a roof inspection in Havant, Hampshire. 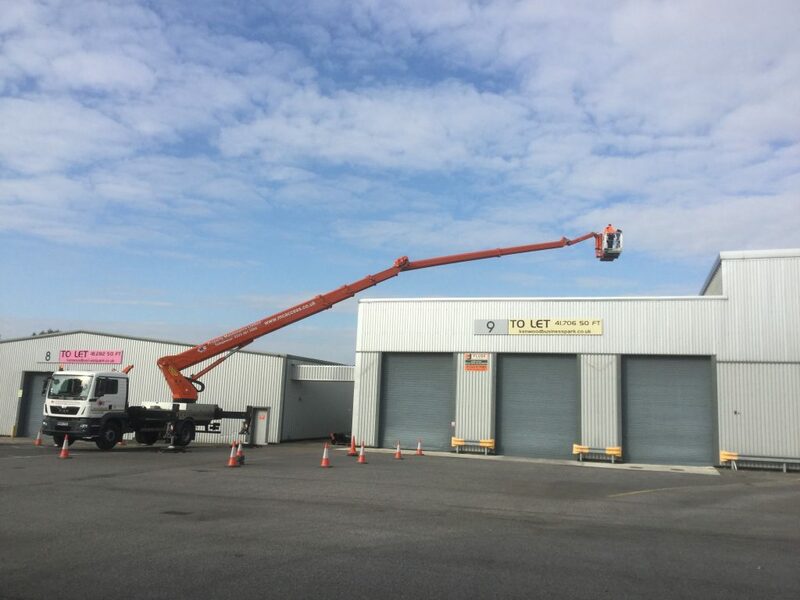 With such a large building and not allowed to step onto the roof the only way to access most of the roof is with our Palfinger 480. The Palfinger 480 has an outreach of over 28 metres, as you can see from the pictures below the surveyor needed all of it.